No one wants to loose their bond. Here are some really handy tips to ensure you do everything you can to get your bond back. Moving out of a rental property can be an arduous task; whether it be moving house, moving out of an apartment, or moving from a granny flat. For those that have been down this road before, you know the pain. Often, there is fear involved as to whether you will be getting your rental bond refund, wondering what feedback may be put in place by the real estate agent / property manager, or the landlord, as to what constitutes fair wear and tear versus what needs repairing (usually the option is for the tenant to repair to a satisfactory level or the money is withheld from the rental bond in order to pay for the repair of the damage). Whilst moving locally it can be easy to pop in and either fix or clean things that may not have met expectation, when moving house interstate, you typically need to get it right the first time, ensuring you meet expectations, and get that rental bond back and in your pocket as quickly as possible. When you inspected the property initially and upon approval for your property, a condition report must be filled in (we are going to assume you have completed this critical part). The purpose of the condition report is to notate any damage, room by room, (regardless of how minor it is) in order to declare the current state and condition of the property, and its fixtures and fittings, before moving into the property. When looking to exit, review your condition report thoroughly and go through the property room by room to spot any damage that was not previously listed on the condition report. Anything you discover during this search should be noted, and you should plan to repair these to a satisfactory level. Any damage that was noted upon moving in, is the responsibility of the landlord and you are not liable to repair damage declared upon moving in. If you are unsure about what is classified as fair wear and tear, in the state of NSW you can review this list here. For rooms with carpet you should organise a professional steam cleaning service to come in and perform the task professionally. Yes you can also hire semi professional steam cleaning units yourself, however the professionals know exactly what do, and can often make light work of stubborn stains, bringing the carpets up looking like new. If the house mainly has floorboards, it’s important to note what type of flooring in order to use the best cleaning products. For example, solid timber floors can often be cleaned with a steam mop, or hot water and vinegar solution, however laminate floor boards usually require a special solution and a misting spray bottle (never soak the floor) or a damp cloth can be used to get out sticky marks. Wipe down all switches, knobs, handles, wall plates, chandeliers, lamp shades, rails, racks and anything attached to the house with a damp cloth. Wash all walls with a sugar soap solution, removing all handprints, grease, marks etc. Ensure all lights work and replace any bulbs which may not be working. Ensure gardens are all well-kempt , lawns mowed, trees trimmed, rubbish removed. That’s right. If you’re too busy, overworked, have zero time, or just need to ensure the job is done 100% to standard, you can call in the expertise of professional cleaning specialists who focus on bond refunds and rental home exit. Research the best professional cleaning companies in your area, and look at their reviews. Contact each one of them, and ask them for a formal quote or to do an inspection in order to ensure that they can clean to standard. Price isn’t everything, deliverables are. 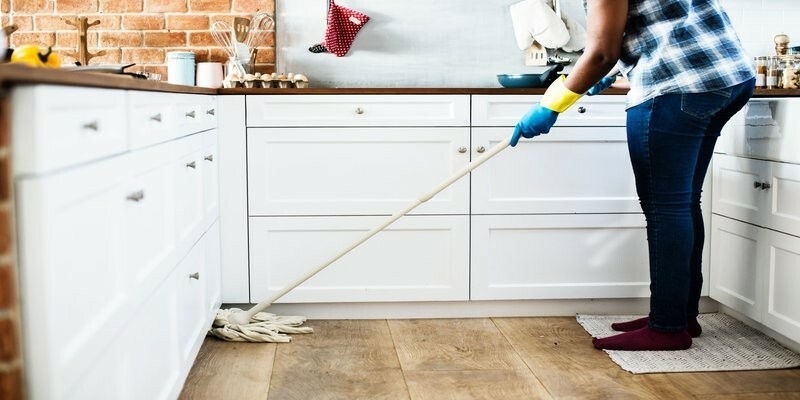 Ensure they itemise exactly what will be cleaned, any specific areas that require special attention and any potential extra costs that may be incurred. Ask them for a “cleanliness guarantee’ that in the instance the property manager or landlord deem something to not be clean enough, that they will come back to remedy any outstanding cleanliness issues.